Erika Young has practiced primarily in the area of family law since her call to the bar in 2014. She has appeared in both the Ontario Court of Justice and the Superior Court of Justice. Her time with Legal Aid Ontario and as a junior associate at a small firm has allowed Erika to work directly with clients and gain valuable experience as a litigator and negotiator. Erika recognizes that every family is different, and so is every separation; there is no “one size fits all” solution. Erika’s approach to family files is to discuss with clients all of their options and provide honest and straightforward advice in order to achieve the most efficient results, all the while protecting her client’s best interests. Erika is also committed to providing all members of the Ottawa community with access to justice, especially when it comes to resolving disputes over custody, access and property after a separation. Erika is a member of the Legal Aid Ontario Family Law panel and does accept certificates. Originally from Nova Scotia, Erika pursued her post-secondary studies in New Brunswick, graduating from Mount Allison University with a B.A. (Honours) and then completing her Juris Doctor from the University of New Brunswick. She left the Maritimes to pursue her articles with Legal Aid Ontario in Timmins. Following her call to the bar she moved to Ottawa to continue working with Legal Aid. Erika joined private practice in 2015 as a family law associate for a small general practice firm before joining the Family Law Group at Low Murchison Radnoff. 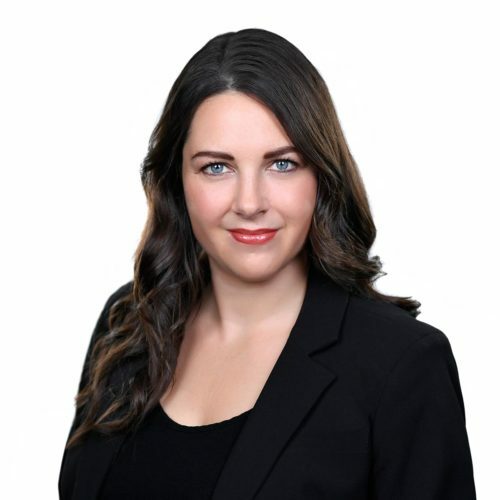 Erika Young is a member of the Law Society of Upper Canada, Canada Bar Association, County of Carelton Law Association, Legal Aid Ontario Family Law Panel, and is a general member of Collaborative Family Law Ottawa. Erika comes from a very large, but close, extended family. Every 10 years over 500 of them gather at the original homestead in Nova Scotia for one massive kitchen party. Did she mention that this is just the family reunion on her maternal grandmother’s side of the family?